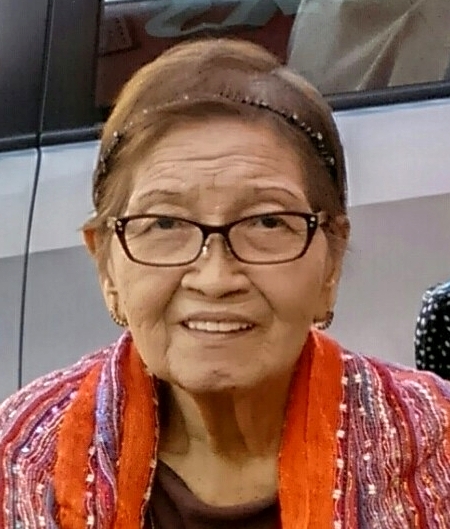 ROSARIO ANGELES EDANO Age 83, of Pearl City, HI, passed away September 8, 2015 in Aiea, HI. Born January 17, 1932 in Binan, Laguna, Philippines. Retired teacher in the Philippines. She is survived by sons, Teofilo Danilo (Marina) Edano, Joey (Jennifer) Edano, Francisco (Johanna) Edano; daughters, Charito (Filomeno) Villacrusis, Angie Ildefonso, Rosana Susan (Roilan) Montesines, Socorro, Edano; sister, Andrea Madejas; 17 grandchildren; 5 great-grand- children. Visitation 9:00 a.m., Thursday (Oct. 1) at Our Lady of Good Counsel Church (1525 Waimano Home Rd., Pearl City). Mass 10:15 a.m. Committal service 2:00 p.m. at Hawaii State Veterans Cemetery, Kaneohe. Casual attire. Flowers welcome.